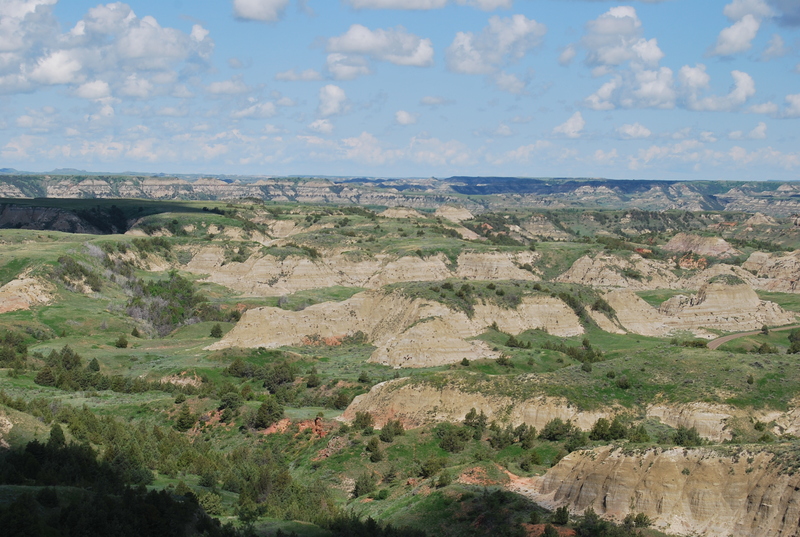 By far the biggest tourism draw in North Dakota, Medora is grand central station for exploring the Badlands, a rugged, scenic, rocky part of western North Dakota. 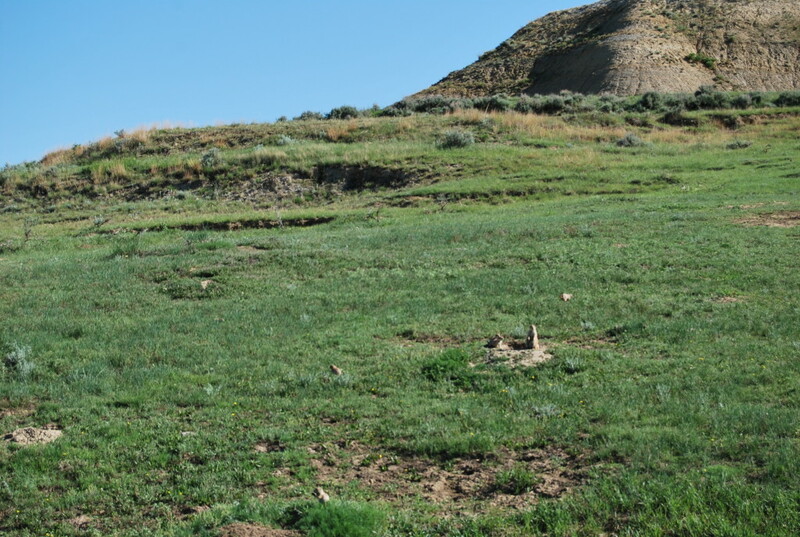 During the winter, Medora is mostly a ghost town, with few year-round residents. 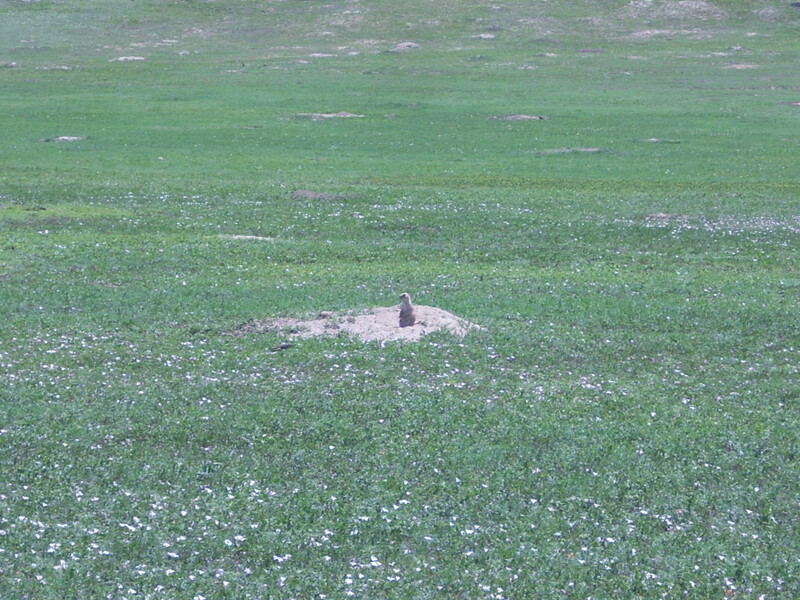 But in the summer, the place comes alive, offering a great amount of things to discover. 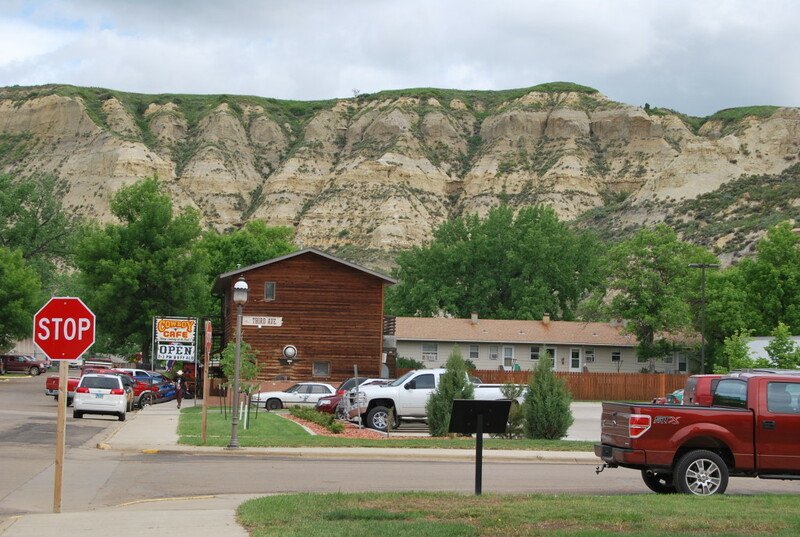 Medora was founded in 1883 by a frenchman who named the place after his wife. 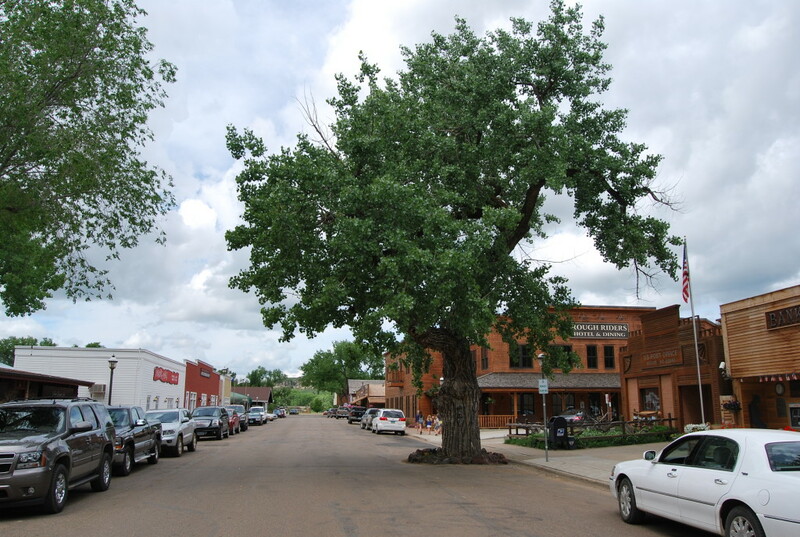 Originally serving as a railroad town, it was later made famous by President Teddy Roosevelt who owned land there where he enjoyed hunting and ranching. Nowadays, it’s about as touristy as it gets, but many parts of it are very preserved. The streets are lined with boardwalks where visitors can buy ice cream, souvenirs, take old-timey photos, visit museums and shooting galleries, play mini golf, and much more. 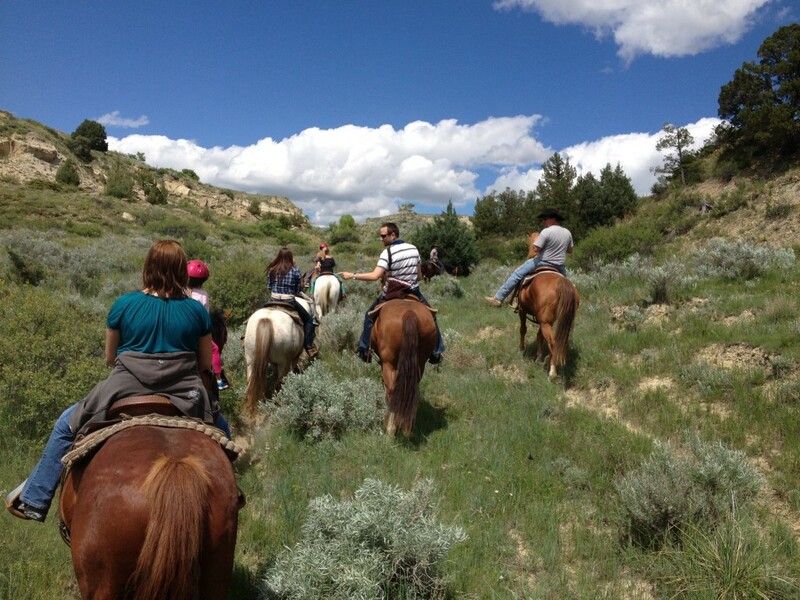 The town is surrounded by canyon walls, adding a dramatic and rugged feel straight out of the Old West. 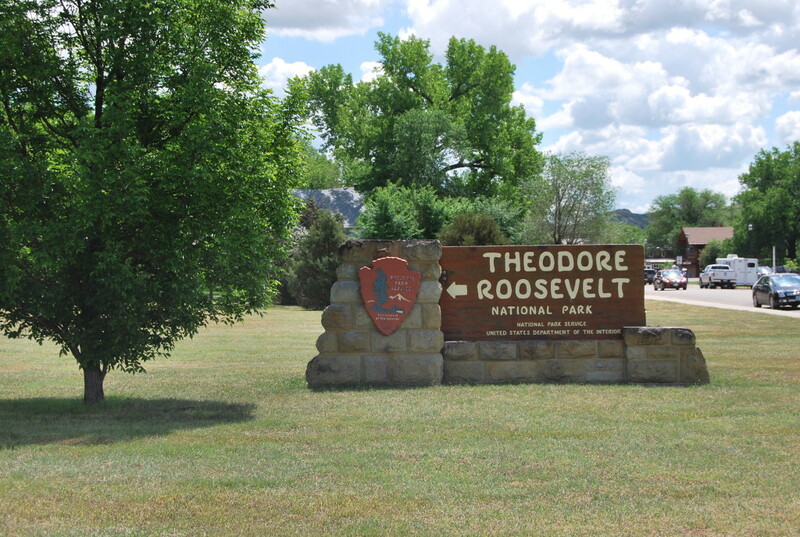 The Theodore Roosevelt National Park, North Dakota’s only National Park, is accessed on the north end of town. 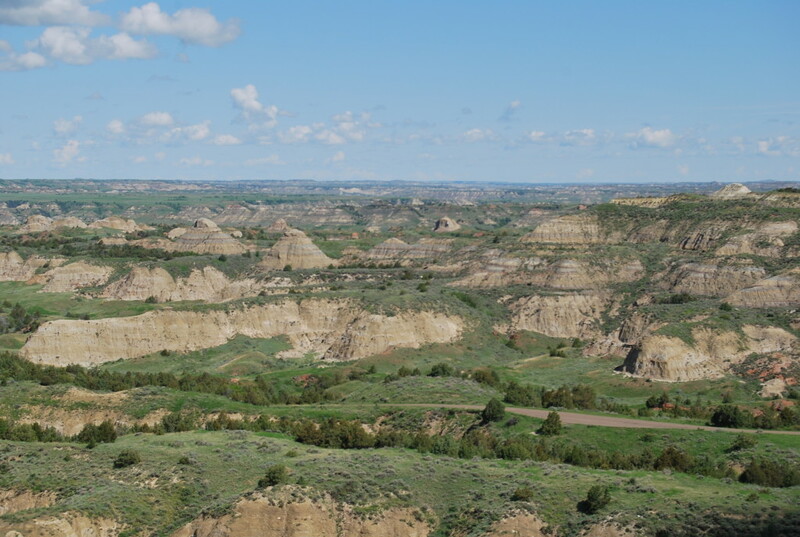 The park offers plenty to do, including camping, back-country hiking, and undoubtedly the most popular item: the 36-mile paved loop that allows vehicles to traverse the Badlands, with many pullouts for hikes, animal spotting, scenic lookouts, and exploring. 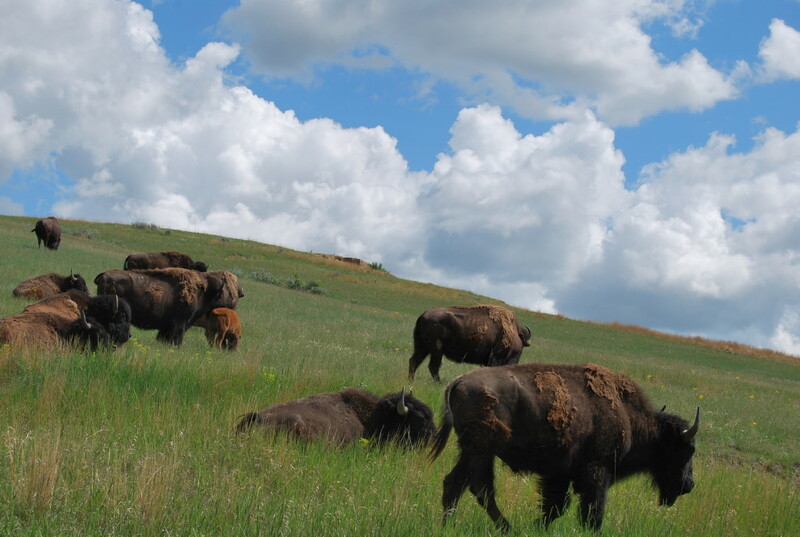 And buffalo. 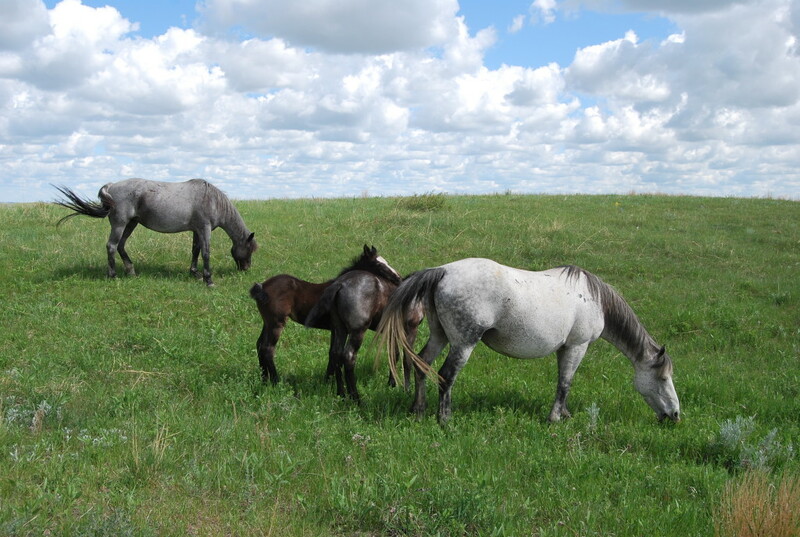 Do not be surprised to see them meandering right across the roads, through the campgrounds, or out in the fields. 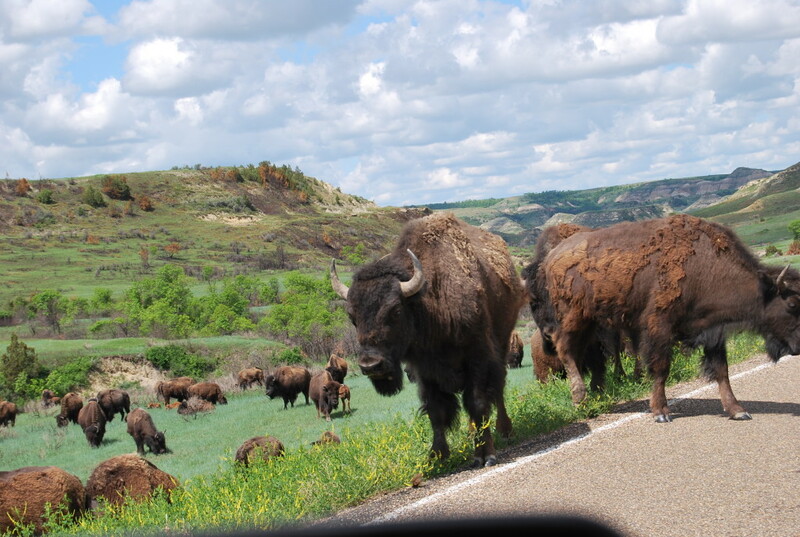 But keep your distance though, they are big, wild beasts. And of course, the Medora Musical. 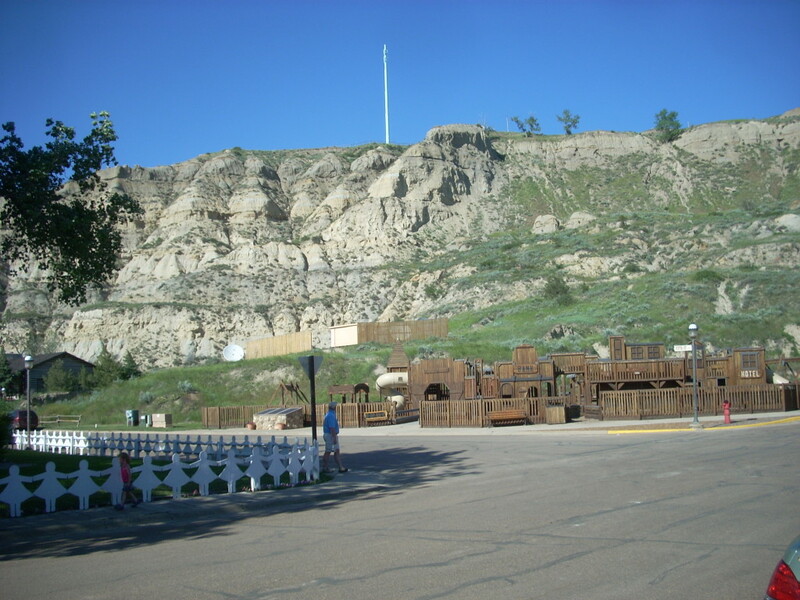 Every single night of the summer, a musical production takes place at the outdoor Burning Hills Amphitheater just outside of town, which overlooks the Badlands. 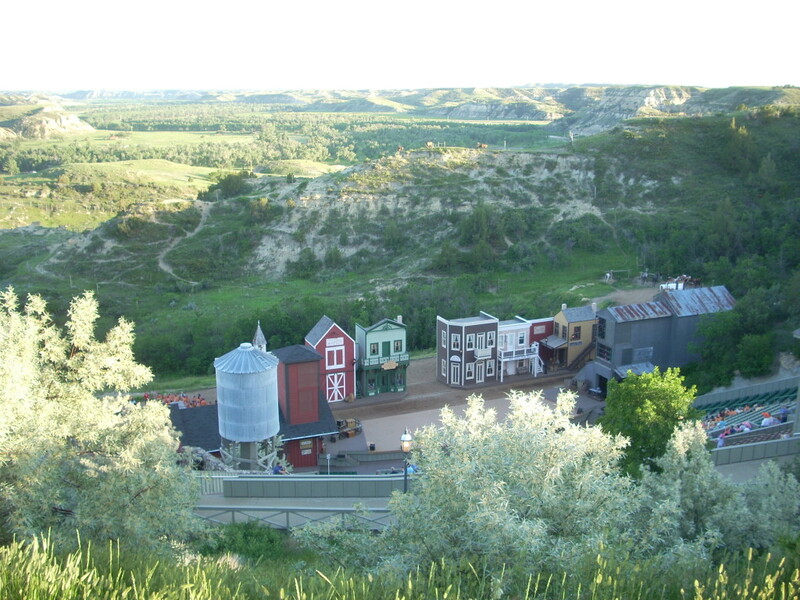 The musical is a requisite part of a Medora visit, dating back to 1958 and featuring a different storyline each year. 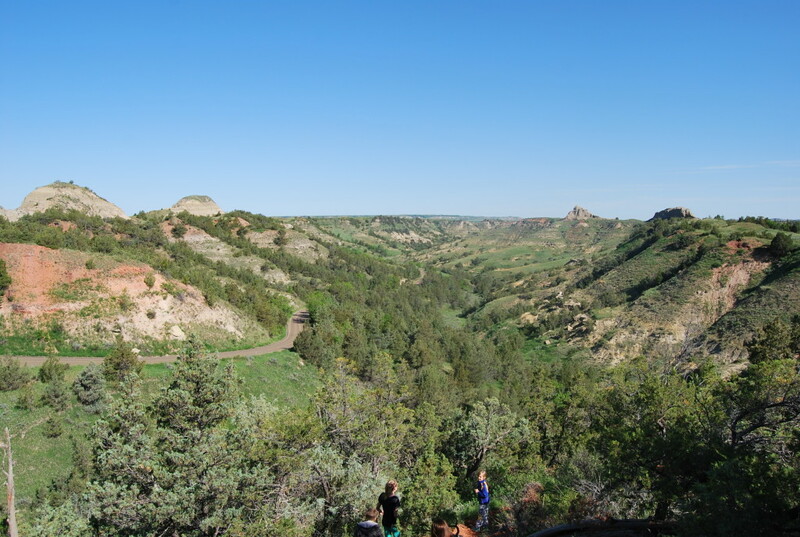 Medora is an awesome place to visit, full of rugged beauty, history, and touristy fun. 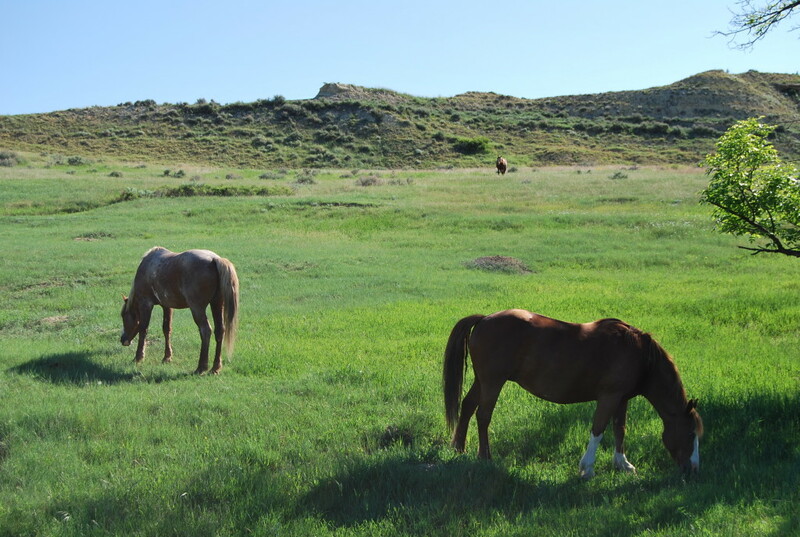 Family-friendly and very outdoorsy, it’s a fantastic place to get away for the weekend in the summer. 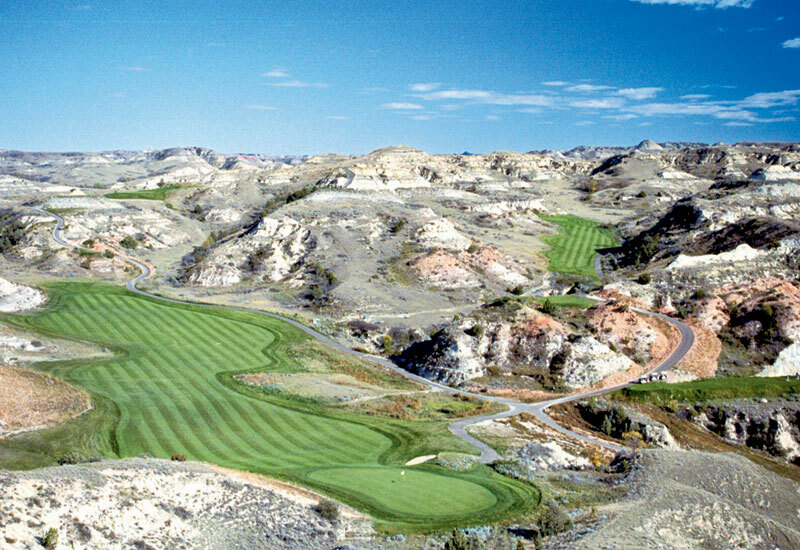 To many, North Dakota is a flat, boring, oil rig-heavy, quiet state, but this little slice of paradise in the far western reach of the state’s borders feels like another place entirely. 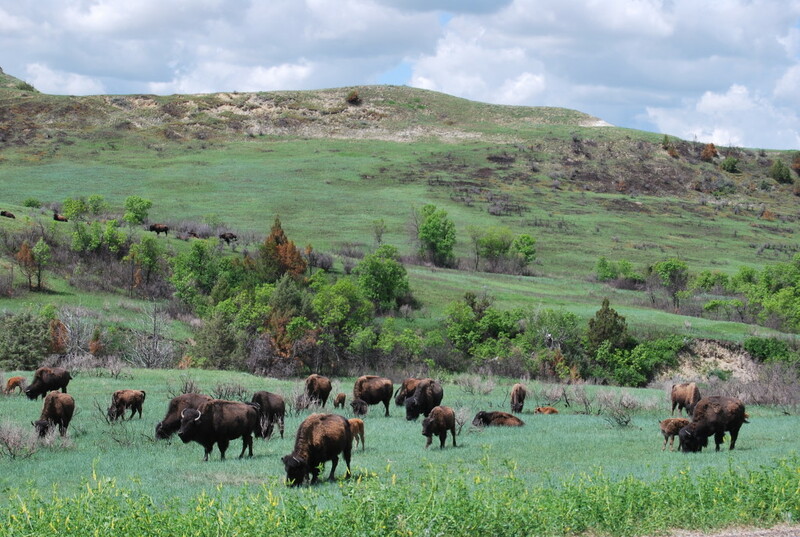 While in the area: If making the trek across North Dakota, it’s only right that one stops at the Buffalo in Jamestown, the Sandhill Crane in Steele, and New Salem Sue. And if time allows, the Enchanted Highway.